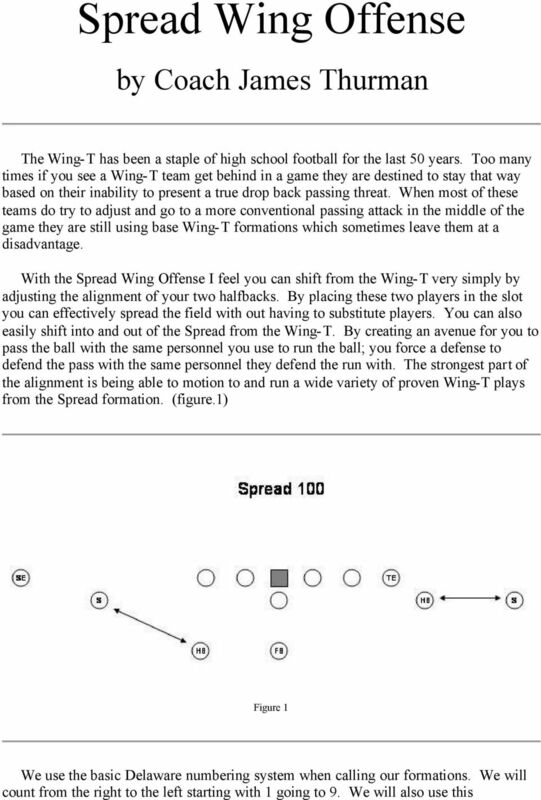 Download "Spread Wing Offense. 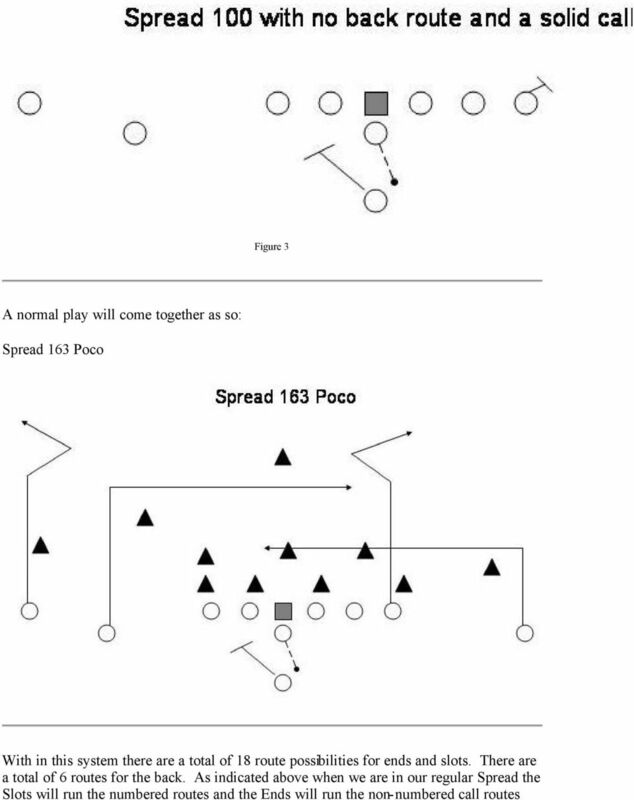 by Coach James Thurman"
7 to the front of the formation call such as Gun Spread 163 Poco. 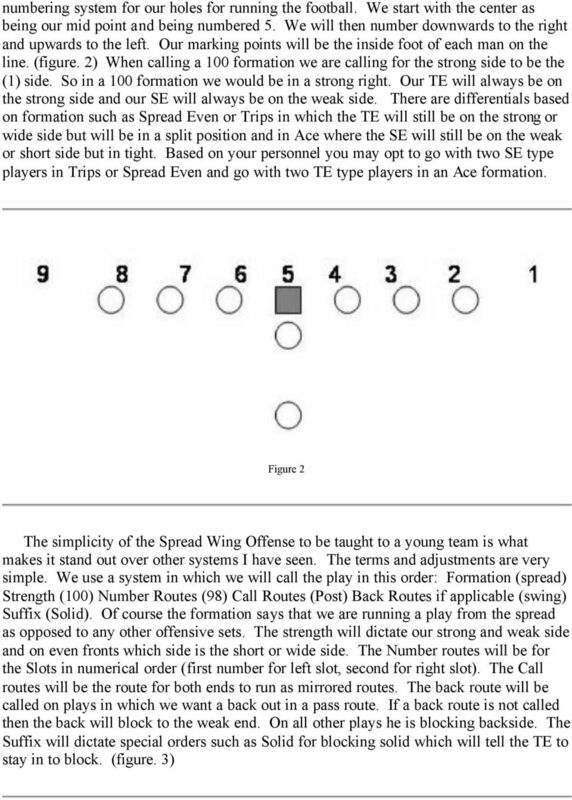 When in Spread empty we will be aligned the same as in Trips but the back will align in the slot to the weak side. 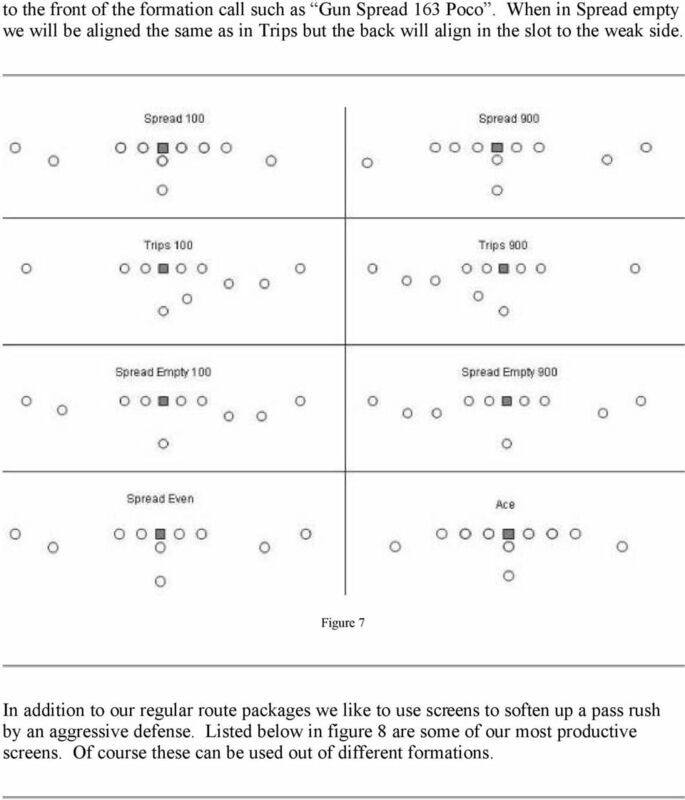 Figure 7 In addition to our regular route packages we like to use screens to soften up a pass rush by an aggressive defense. 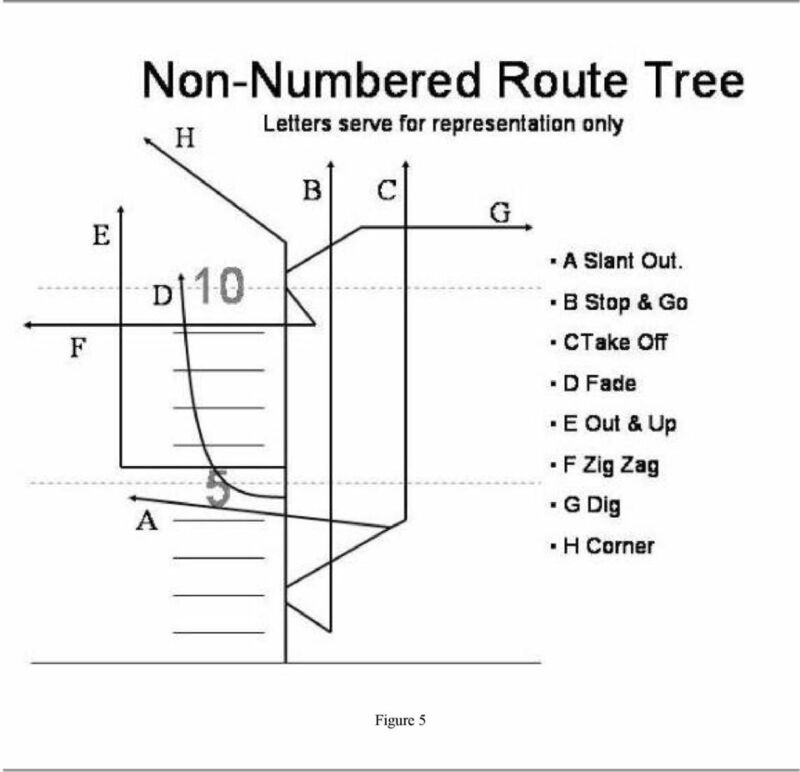 Listed below in figure 8 are some of our most productive screens. 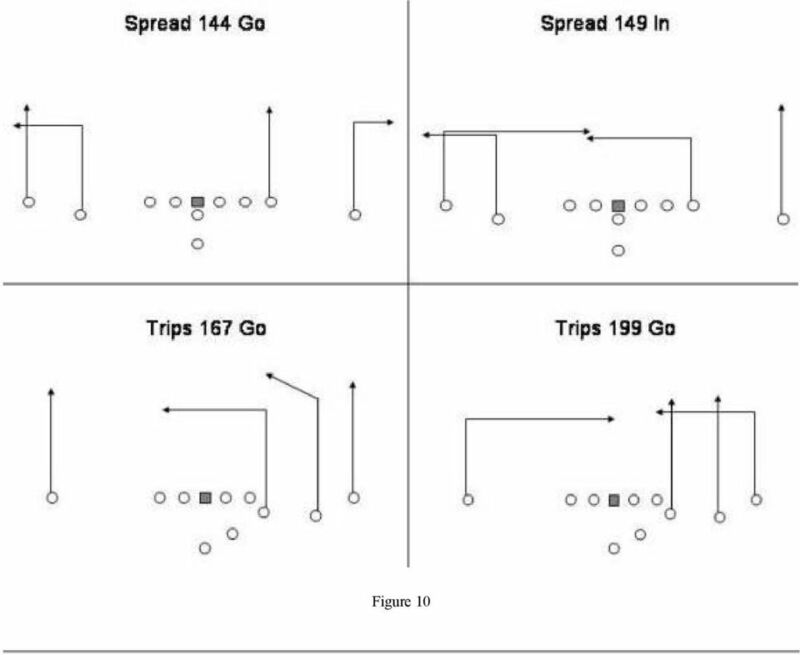 Of course these can be used out of different formations. 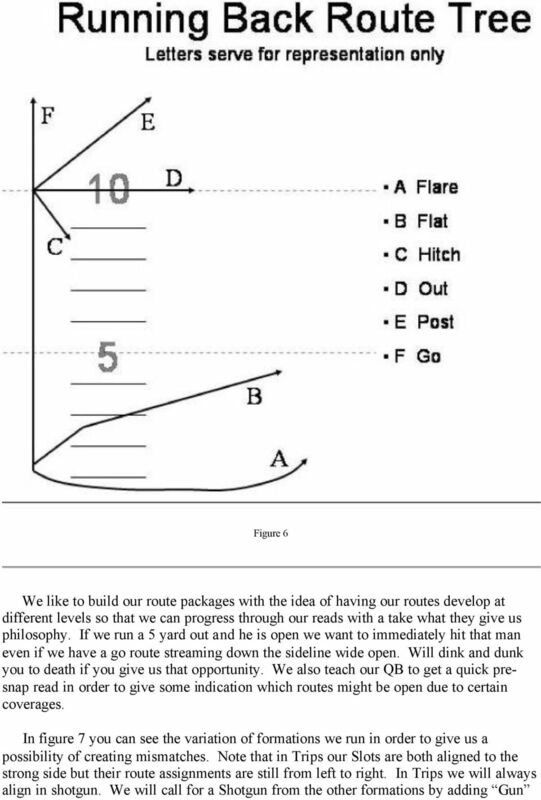 8 Figure 8 In figure 9 I have listed some plays from different formations which will give you an idea of how we build our route packages to have a high and low read. Once again we will take what the defense gives us if the low read is open. 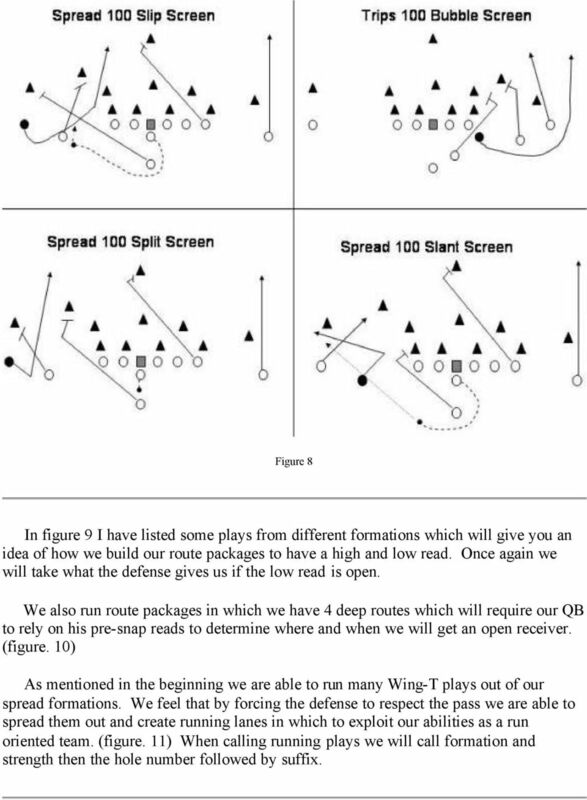 We also run route packages in which we have 4 deep routes which will require our QB to rely on his pre-snap reads to determine where and when we will get an open receiver. (figure. 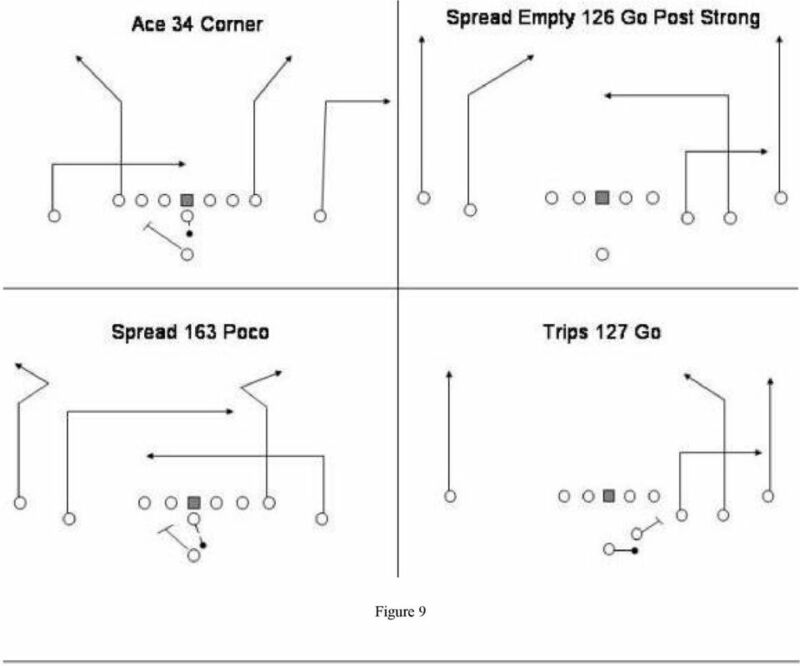 10) As mentioned in the beginning we are able to run many Wing-T plays out of our spread formations. 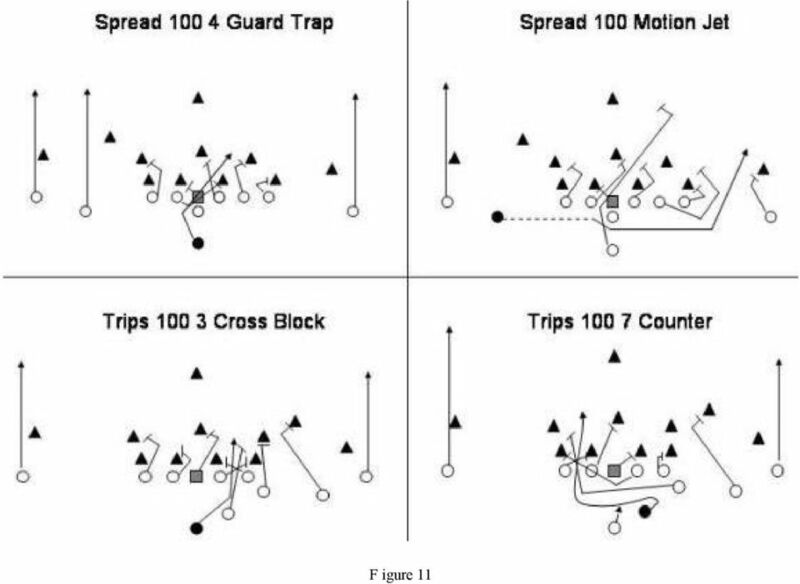 We feel that by forcing the defense to respect the pass we are able to spread them out and create running lanes in which to exploit our abilities as a run oriented team. (figure. 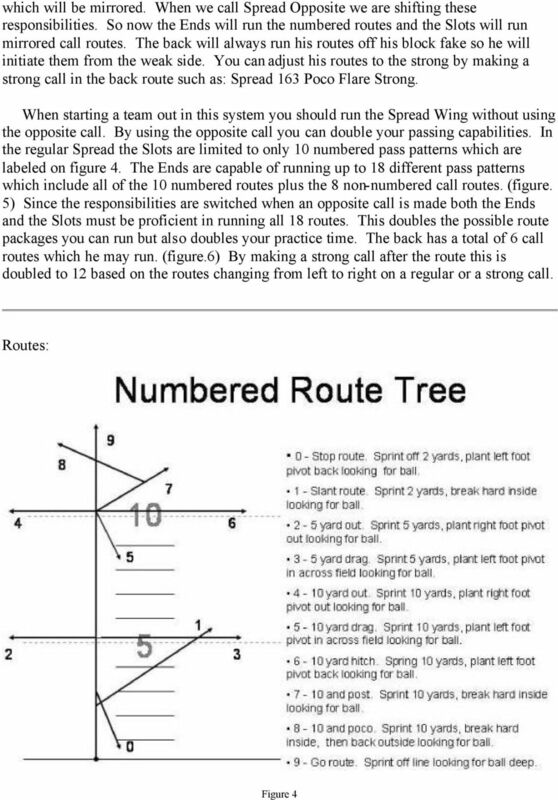 11) When calling running plays we will call formation and strength then the hole number followed by suffix. Reebok Skills & Drills - Drill #1 Warm-Up Drill: "Jingle-Jangle"
ROCKET AND JET SWEEP FROM MULTIPLE FORMATIONS. Patrick R. Elder Head Football Coach Richmond-Burton Comm. High School Pelder@rbchs. How does practicing in smaller and tighter situations translate to the eleven a- side game? Welcome to the ABGC Basketball House League - Grades 4 through HS This is a program for 4th through HS players. Our goal is to make the sport as much fun as possible while positively reinforcing the participants. The key to a good offense is spacing, we must stay spread out! GALLATIN HIGH SCHOOL FOOTBALL GO BULLDOGS!